Home » Do songwriters just write what comes to them, or do they use tricks/tools? Do songwriters just write what comes to them, or do they use tricks/tools? On the other hand there are specific skills and techniques to turn inspiration into songs. These could be considered “tools”. For example, if I were to build a house. I would begin with the idea and inspiration of what I wanted that house to be. Inspiration alone will not allow me to realize the house. To complete this house will require the right tools, skills and techniques. It is like this with songwriting. Sometimes inspiration needs a nudge and this is where certain tricks and tools help prime the pump. 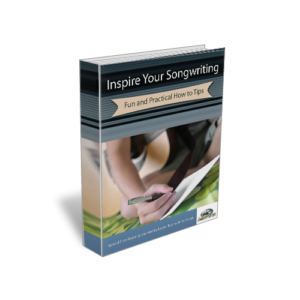 A songwriter needs both inspiration and tools to bring a song to fruition. « Can songwriters write lyrics to fit a given piece of music?